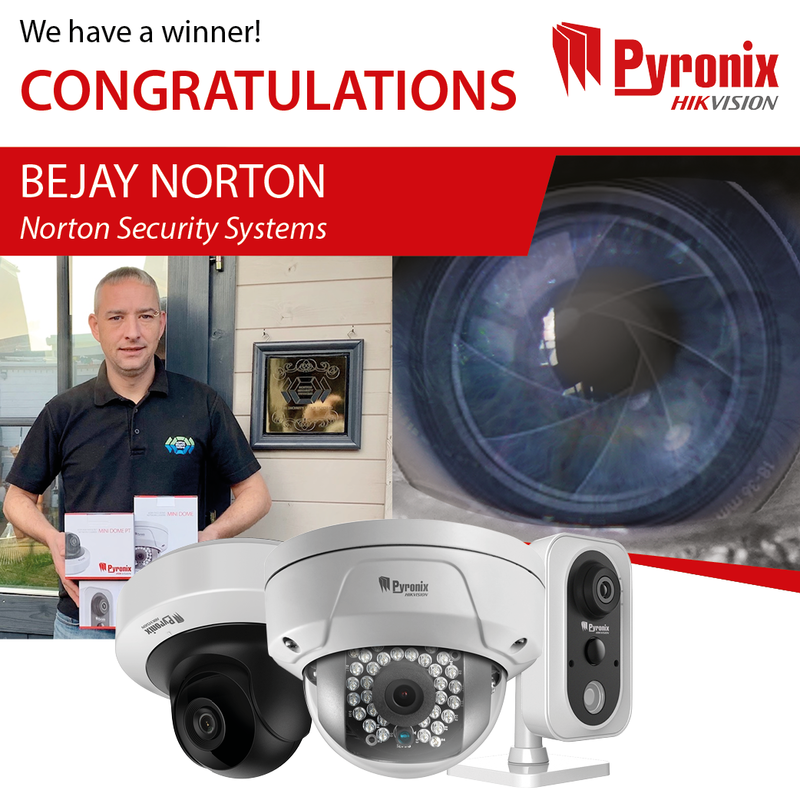 Pyronix is delighted to announce the winner of our prize draw, Bejay Norton of Norton Security Systems. Bejay wins a full set of our latest Full-HD Wi-Fi cameras. The prize draw was free to enter and offered the chance to win a set of Pyronix Wi-Fi cameras. Each day entrants could interact with Pyronix in different ways, to gain more entries and multiply their chances of winning. The winner was selected at random and our Account Manager, Richard Lockwood, was delighted to present him with his prize. A big thank you to absolutely everyone that entered and congratulations to Bejay once again. To keep up to date with Pyronix and be the first to know all our latest news, events, training, competitions and prize draws, make sure you sign up to our newsletter.